Mushrooms are one of those vegetables with a more “meaty” texture. For people looking to cut-back on meat while still keep the taste or texture, try using mushrooms! Sautéing or grilling mushrooms and spices like you would to meat can help give them a similar appeal. 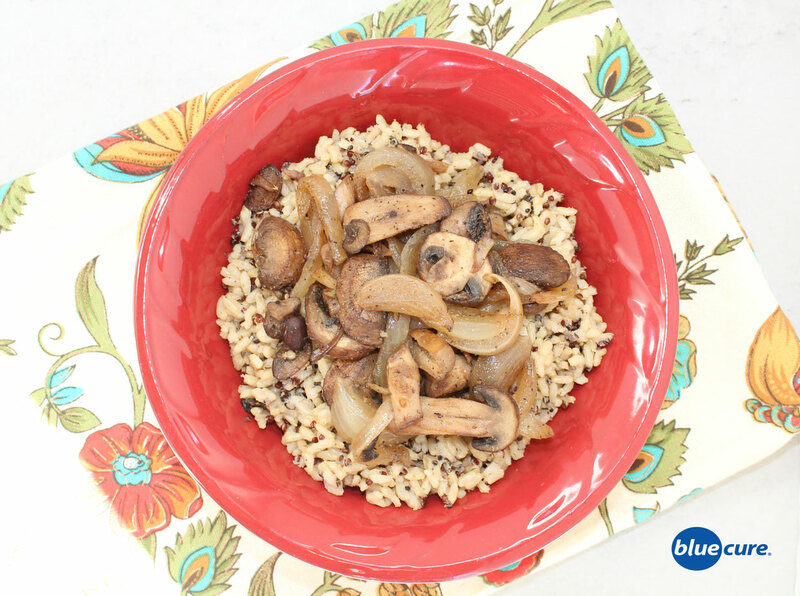 This mushroom onion sauté is very savory and tastes great on top of brown rice or quinoa. You could even add in some chickpeas, leafy green vegetables, and avocado for additional nutrient boosts. Wash and prep the onion and mushroom. Sauté the onion and mushroom over medium heat with the oil or vegetable broth. Add the thyme. Continue sautéing until the mushrooms and onion are to desired texture. Serve on top of cooked brown rice or quinoa.